Introducing ‘IterumFIVE’ our technologically advanced, high speed five colour single pass dual printing system – the first of its kind in the UK. Offering our customers massive flexibility while reducing costs and shortening lead times. Watch our short film to get a closer look inside, and see what makes us tick. Diamond Box is an independent supplier of corrugated packaging, and much more besides. We’re an award winning company based in the Midlands, and our success is founded on a simple but powerful principle: whatever the customer wants, we work to make it happen. That’s why we’ve grown to become one of the largest companies of our type in the UK. Diamond Box Manufacturing of Printed Boxes and Packing. 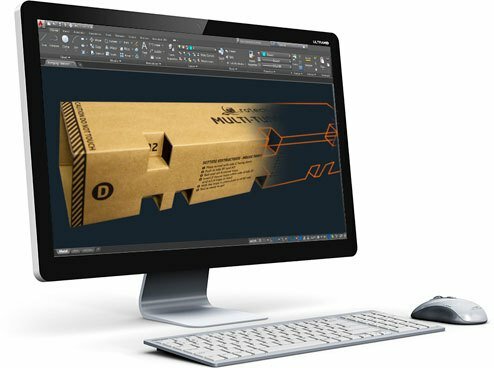 We work closely with our customers and suppliers in order to create the products they need including high quality printed cardboard boxes and packaging, all delivered when they require and produced to the highest possible standards. It’s a combination of service, quality and value that you simply won’t find anywhere else including custom designed packaging printed and manufactured to our customer's requirements. That’s the Diamond Box promise, and it’s a promise we’re proud to keep living up to. Does your current packaging supplier take ages to make a decision to respond when you need help urgently? Our SpeedSTOCK facility can help you meet that urgent requirement or last minute product launch. Here at Diamond Box we’re keenly aware of the vital role which excellent design and ongoing innovation play in keeping us at the forefront of our chosen market.We don’t see great design as an end in itself.